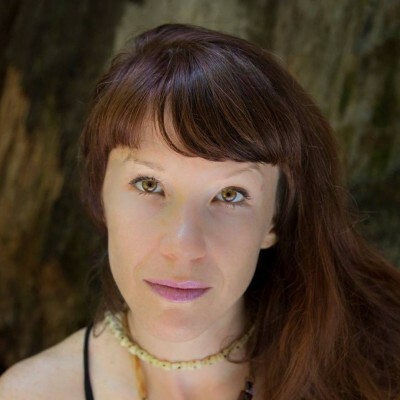 Ekabhumi is an eloquent, inspiring, and thorough teacher who utilizes sacred art practices to help students cultivate deeper intuitive states, so they may sense and create the sacred in daily life. He holds a BA in Fine Arts with an emphasis on Figurative Art, has taught Yoga since 2005, and currently works full time as a sacred Artist and teacher. He is a regular student of Nepalese master painter, Dinesh Charan Shrestha, learning traditional Newar style of Tankha and Paubha painting and has studied Yantra and the painting of Devas in the lineage of Harish Johari in India. Ekabhumi’s poems and artworks have appeared in several publications, shows and private collections, illustrating Tantra Illuminated by Christopher Hareesh Wallis (2011), Awakening Shakti (2012) by Sally Kempton, and author of The Shakti Coloring Book: Goddesses, Mandalas, and the Power of Sacred Geometry with Sounds True Publishing (2015). For more information, as well as opportunities to collect prints and original artworks, visit: www.oneearthsacredarts.com His teachings constitute our Sacred Art program. Cristina is the owner/CEO of TRU and has practiced yoga and meditation for over 20 years, shamanism for 13, and integrates the practices into every facet of life. She built the school of Yogic Studies, Mattamayura Institute, with Hareesh Wallis in 2011 developing an alternative value based business model, and started TRU Education in 2014 as an extension of that vision. Before starting TRU she earned degree in Physics from UC Berkeley, worked for Lawrence Berkeley Labs in both the Physics and Geochemistry divisions, with The Space Sciences Lab managing a small telescope array on Mount Wilson for a Nobel Laureate, and left a PhD program in 2009 to pursue the path of self-actualization full time. A true multi-potentialite, she considers her greatest talent healing, having cultivated it by overcoming multiple “incurable” debilitating illnesses, and considers the practices for awakening to be identical with healing work. She also loves Spartan Races, ink drawing, ridiculously healthy gourmet cooking and everything about #beinghealthy. In the courses at TRU, she integrates feminine practices and principles for empowerment and balance to all genders. Her teachers include fierce grace, Charles H Townes, Adyashanti, Phillip Scott, and all the faulty at TRU. 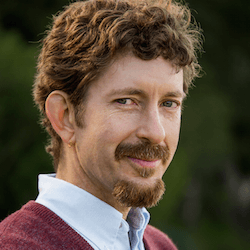 Scott is a Traditional Chinese Medical practitioner, Shadow Yoga teacher, and Ayurvedic Consultant. He has been studying yoga for over nineteen years and teaching for thirteen. He offers profound insights into the nature of the human experience with yoga, health, and prana through a highly accessible direct teaching style. His primary teachers are Zhander Remete, founder of Shadow Yoga, and Dr. Robert Svoboda, renowned Ayurvedic physician and scholar. His 14 years of clinical experience have laid a foundation for the therapies and practices that he shares on DoctorBlossom.com, a site dedicated to Ayurvedic education, nutrition, and treatments. He offers powerfully healing and expansive medical care and Shadow Yoga courses. 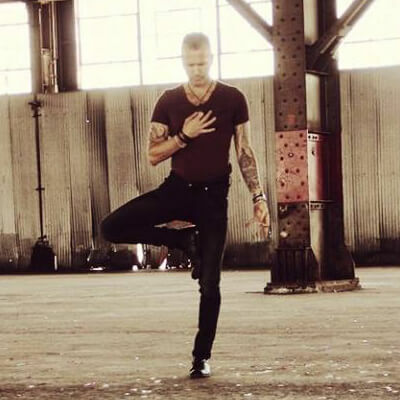 Mark is an award winning writer and columnist for SF Chronicle and SF Gate and full time Vinyasa Teacher of 12 years. 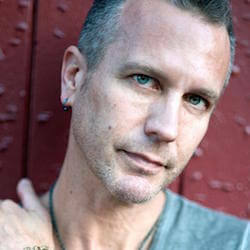 While Mark was almost fired – twice – in the early years of SFGate over the racier stances of his column, he also won First Place in the National Society of Newspaper Columnists’ annual contest – also twice – and he’s been nominated four separate times for a GLAAD award for his outspoken support of gay rights over the years. His book, The Daring Spectacle: Adventures in Deviant Journalism, a mega-compendium of his finest early columns, along with commentary and assorted hate mail. He teaches how to be fully engaged in the often overwhelming media world without the need to internalize or shelter oneself, and stand as a voice for sanity and blessing, utilizing yoga asana and reflective persona. Alejandra is a precise, attentive, and inspiring teacher who facilitates real transformation in the way her students relate to themselves and others. She speaks 5 languages, finished two master’s programs in Argentina as both an English/Spanish Public Translator and Teacher of the English Language. It was through the exploration of communication as a spiritual practice through Marshall Rosenberg’s Non-Violent /Compassionate Communication that she earned a third master’s degree in Transformative Leadership from the California Institute of Integral Studies. Alejandra has studied Tantrik Buddhism in the Ddzogchen tradition with Lama Surya Das and Chandra Easton, Tantrik Shaivism with Christopher Hareesh Wallis, and the non-dual teachings of Adyashanti. She has been a student of Hatha yoga for 14 years with her main teachers Scott Blossom and Saul David Raye. 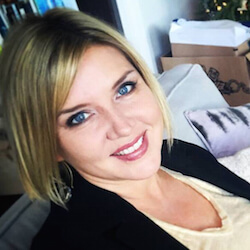 In 2011 Alejandra founded Language Alchemy, through which she facilitates interactive workshops on connected communication to raise awareness about communication patterns and the impact these patterns have on ourselves and others. 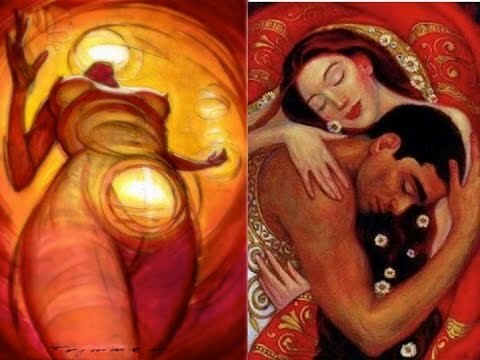 To her, developing conscious facility with language is a spiritual practice – it is learning the language of the heart. Born into a family of spiritualists, her life path has always been interwoven with yoga philosophy, buddhism, as well as Indigenous practices. Since 2008 she has studied with many gifted teachers and trained in multiple yogic disciplines including Tantra, Pranayama, Yoga Therapeutics, Yin, Anusara, Hot Yoga, Vinyasa, Meditation, and Mythology. She helped develop the curriculum for the yoga studio franchise, Core Power Yoga, while managing the Denver studio. As a bodyworker, Piper innovated a branch of healing for para and quadriplegics. She is the creator and lead in Werk Out Palace, the interactive performance ensemble created to spread the joy of physical fitness through glitter, spandex, and raunchy recognition of our own desire for revolution and play. Piper lives from the attitude of service, and offers her talents as an organizer to TRU retreats and is our Administrative Manager. In connection with individuals she is an utter joy to be with, inspiring open fits of laughter and sweetness. When she teaches, her classes are filled with freedom, magic, and alignment, offering students a chance to connect to their essence nature and celebrate their lives and practice! Christine explores new ways of living better together. As an entrepreneur, she runs Now Labs, Inc., and is the author of multiple books on parenting, identity and redesign of culture. She is a founding committee member of TEDxSF, and has been part of TED since 2004. She has been studying yoga since 2000, and is YA certified as ERYT, and has completed the Prison Yoga Project teacher training, and works with inmates at San Quentin to heal the wounding of violence in this culture. She is a student of the nondual teachings as taught by TKS Desikachar, as they have come through Mark Whitwell. She holds a certificate in beginning Sanskrit, and in the practices and philosophy of yoga from the Mattamayura Institute. She is the mother of 4 children, stepmom to 2 (Ages 14 to 30) and grandmother. Christine also writes and performs devotional music, indie folk and blues and has sung at BhaktiFest and many yoga centers. She sings on the album Shyam Lila (Adam Bauer, Mantralogy Records, 2014). In 2015, she recorded an album of original folk rock lullabies, produced by the award winning Ben Leinbach. She teaches on awakened parenting, relationship expansion, conscious business, healing from violence, and sings at TRU Delight events. 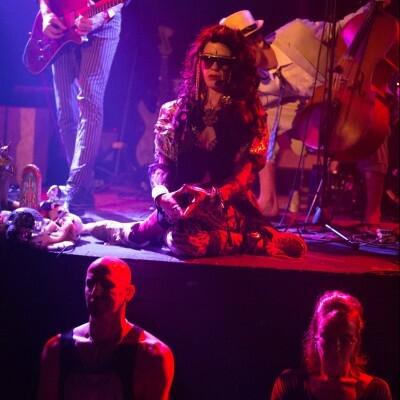 With experience in circus performance, live music, fashion, festival production, and yoga both sacred and corporate, Lucid teaches us how to connect to the sacred and shed our identities through play. Lucid has been on the Yogic path since 1994, five years into recovery from an abject early life of illness and abuse. Her studies in neuroscience, cellular biology, nutrition, essential oils, Non-Violent Communication, earth magick, energy medicine, & Lifeline Healing Technique also inform her teaching. She is thriving as a mother, wife, teacher, community organizer, ritual leader & artist. Lucid offers bright, playful wisdom & guidance towards your ultimate expression of being, so you can experience yourself as a whole, sacred, creative power. Over the past 12 years Mark Haviland has been developing a synthesis of modalities and techniques into an eclectic emergent bodywork style that is truly transformational. 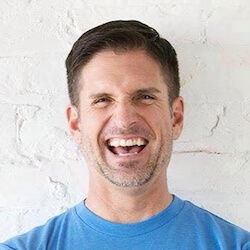 Specializing in eradicating emotional holdings in the body and freeing his clients from the lack/victim construct held in the body/mind, a session with Mark is akin to an archaeological expedition searching for the relic of your preciousness. Mark teaches the theory behind the work that he does, to those studying bodywork and who want to understand more about the somatic links.